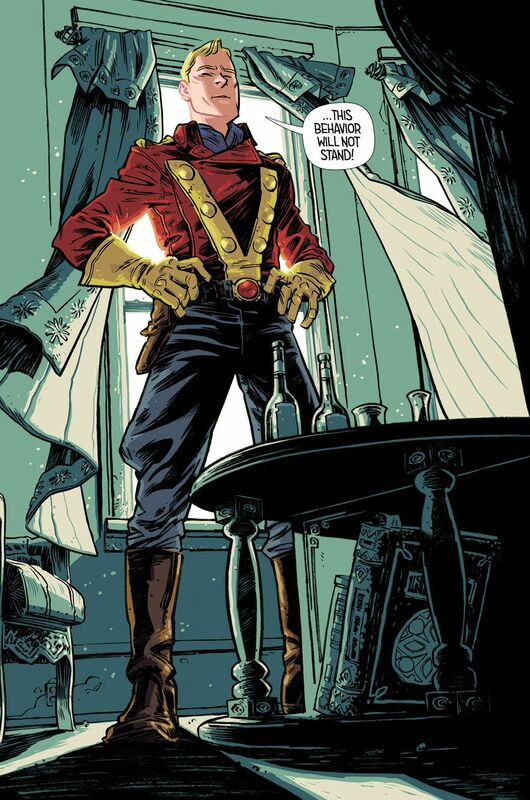 Current: Robinson and Hinkle's AIRBOY—Or, comic book creators gone wild! 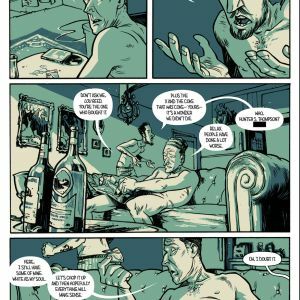 Robinson and Hinkle's AIRBOY—Or, comic book creators gone wild! 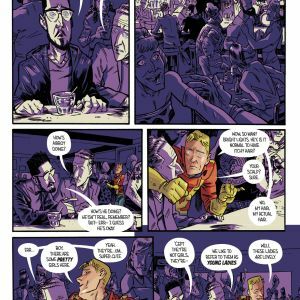 Bestselling writer James Robinson (Starman, Fantastic Four) and artist Greg Hinkle are hired to write a reboot of the 1940s action hero Airboy, but what better way to seek a little creative inspiration than a night of debauchery? 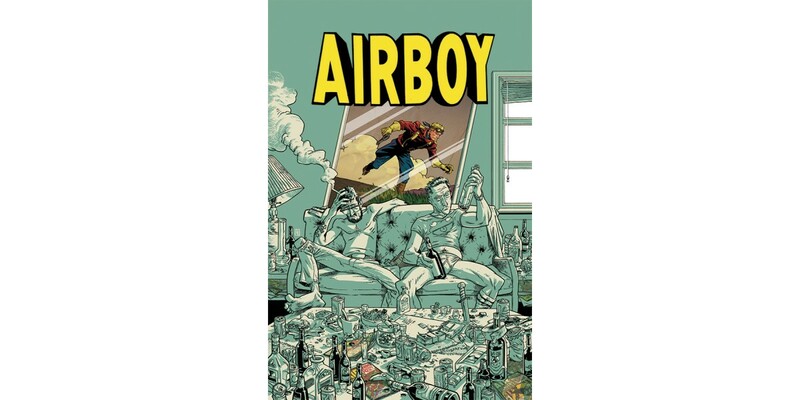 Robinson and Hinkle team up to star in this metafiction about two comic book creators gone wild in the new series AIRBOY. 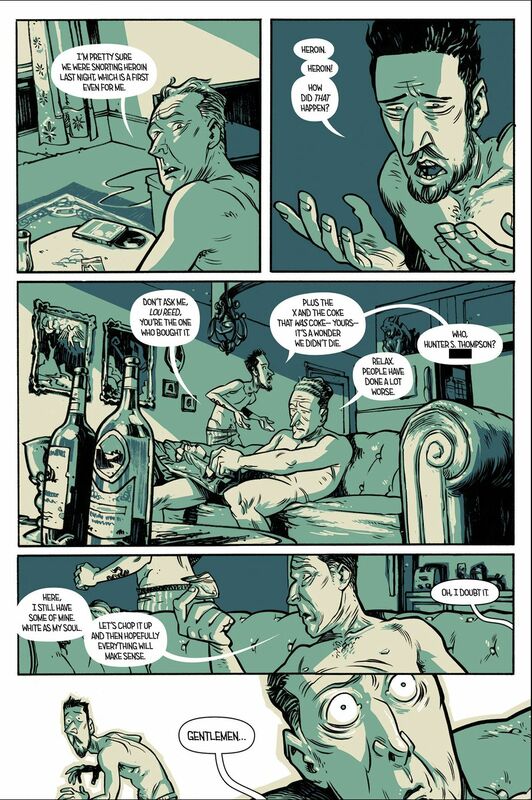 In AIRBOY, Robinson’s reluctant to do yet another Golden Age reboot and he’s worried about his stagnant career, ailing marriage, and all-around doldrum life. But that’s nothing a stiff drink can’t fix! Enter artist Greg Hinkle and a night of partying that has to be seen to be believed. 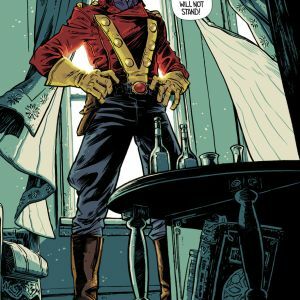 Even Airboy himself will have his work cut out for him if he plans to get the two comic book creators in-line and back on the straight and narrow! Could this task be too much for hero? 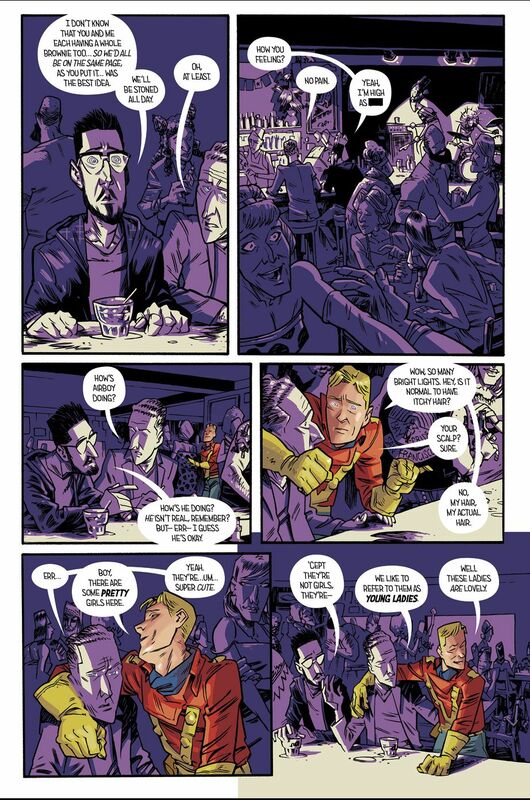 AIRBOY #1 hits shelves on June 3 and can be ordered with Diamond Code APR150494.